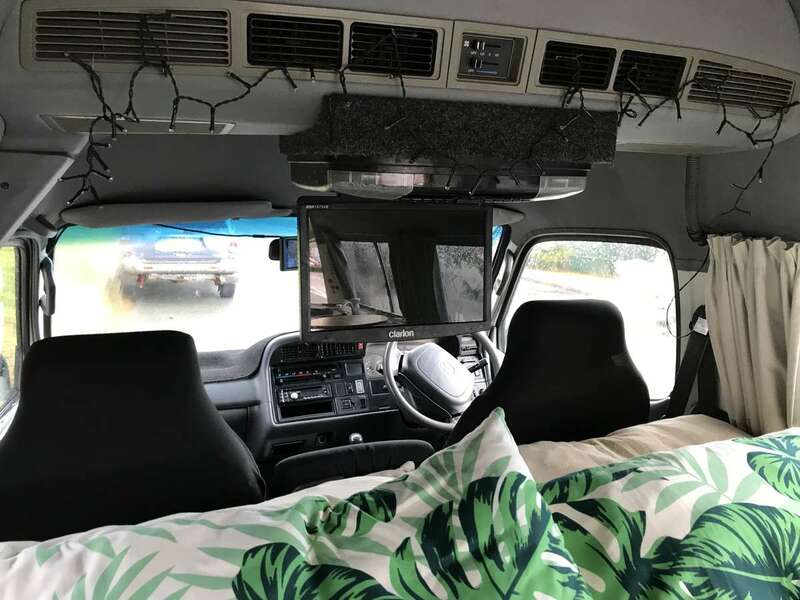 Clean bed linen is supplied, the van is always kept well so you will not have to worry about a thing. 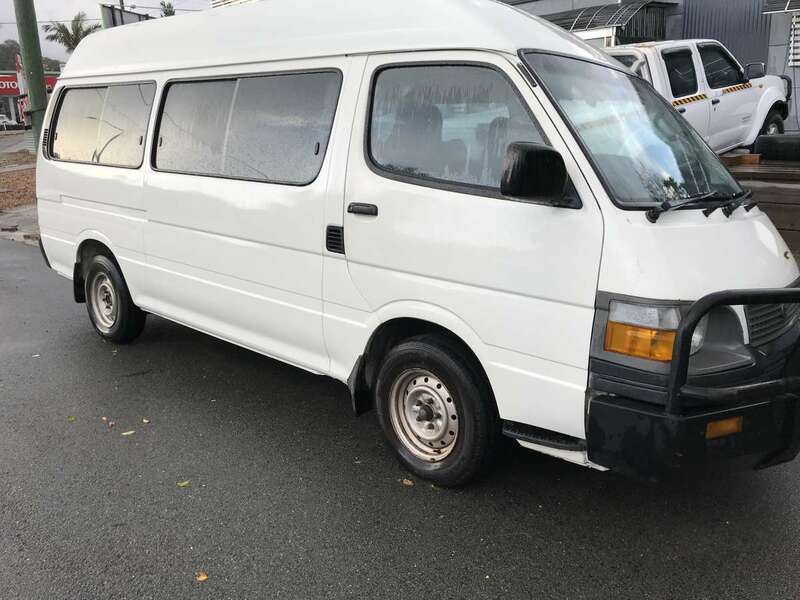 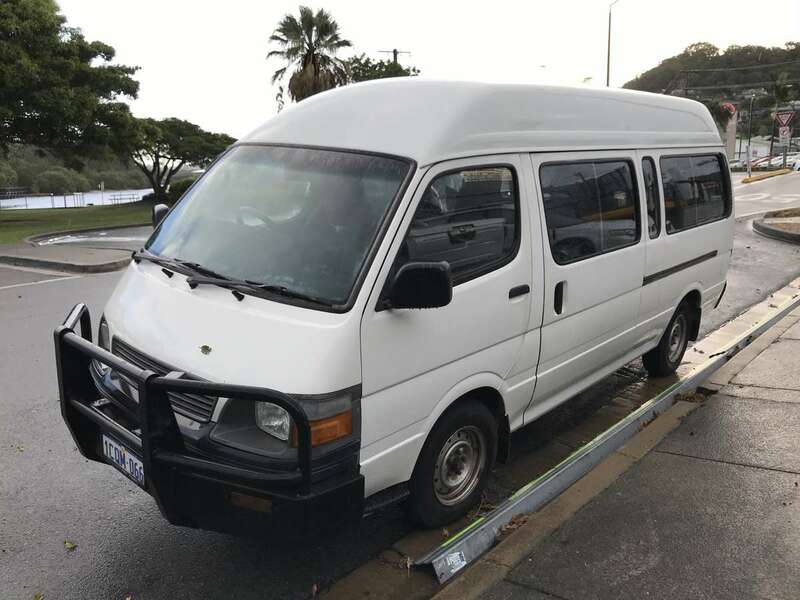 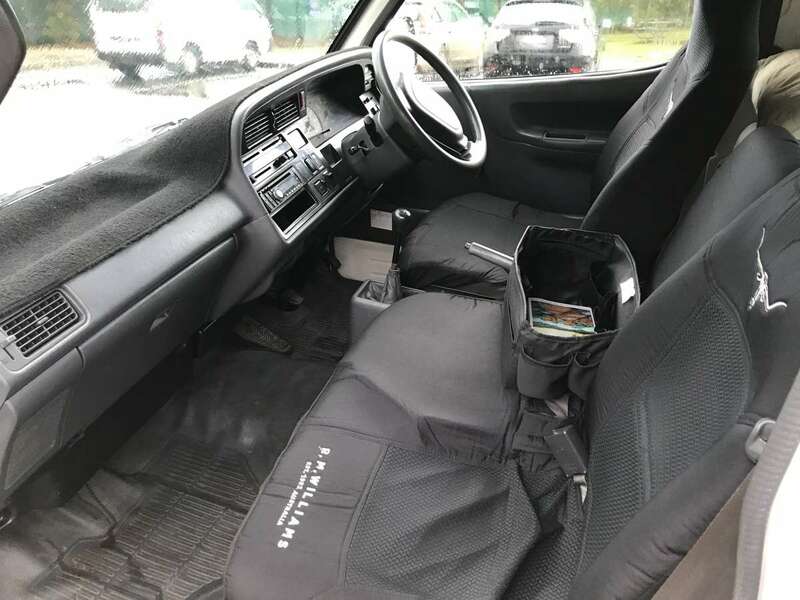 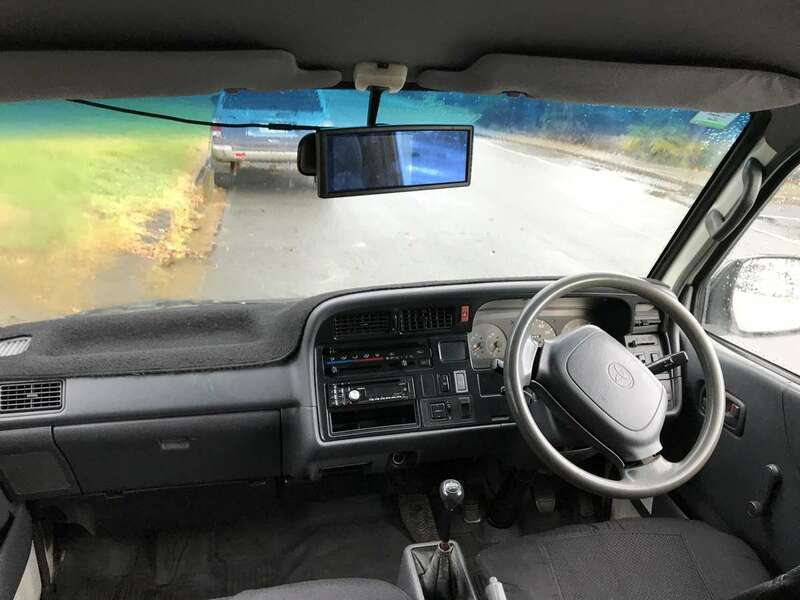 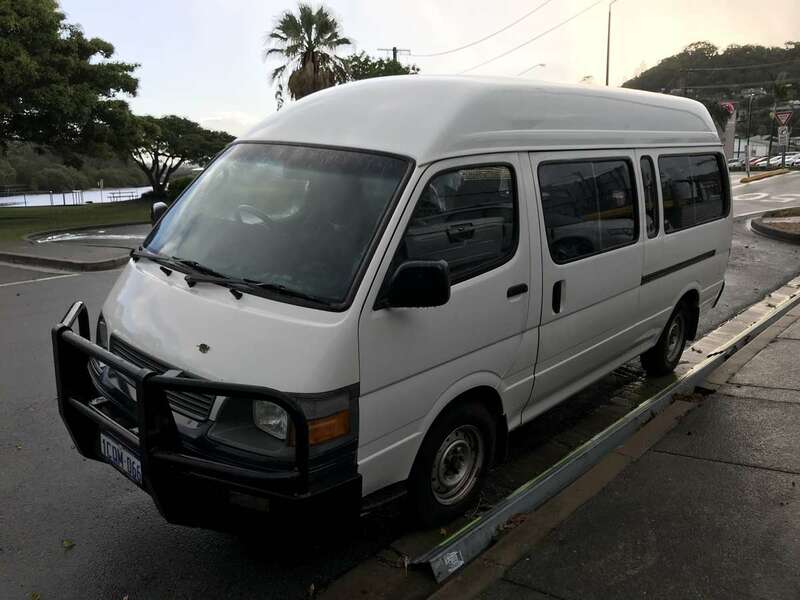 The great and reliable Toyota Hiace commuter, its been built tough to go anywhere with consideration of driving costs and fuel efficiency. 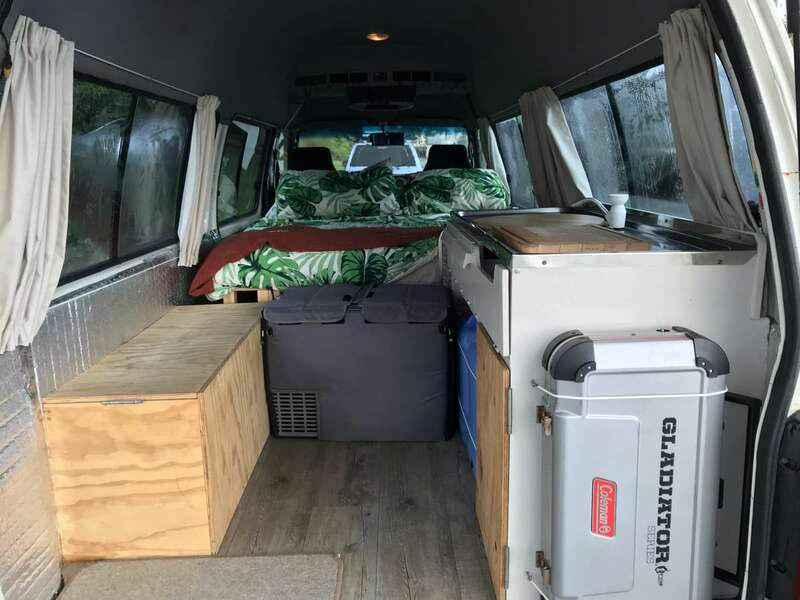 My van has everything you need for a road trip it's large enough to fit 3 adults while driving with a large enough bad for 2 adults to sleep comfortably. 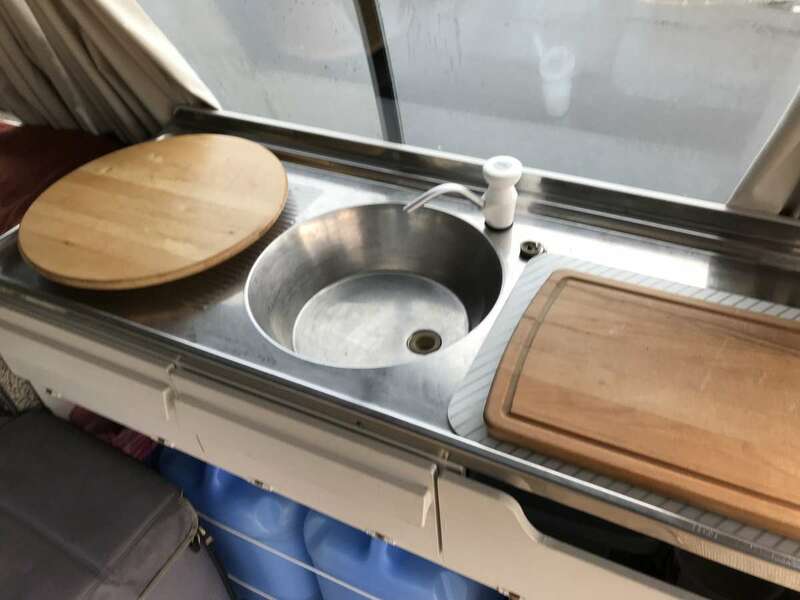 it has a kitchen area with a dual burner and a gas bottle supplied. 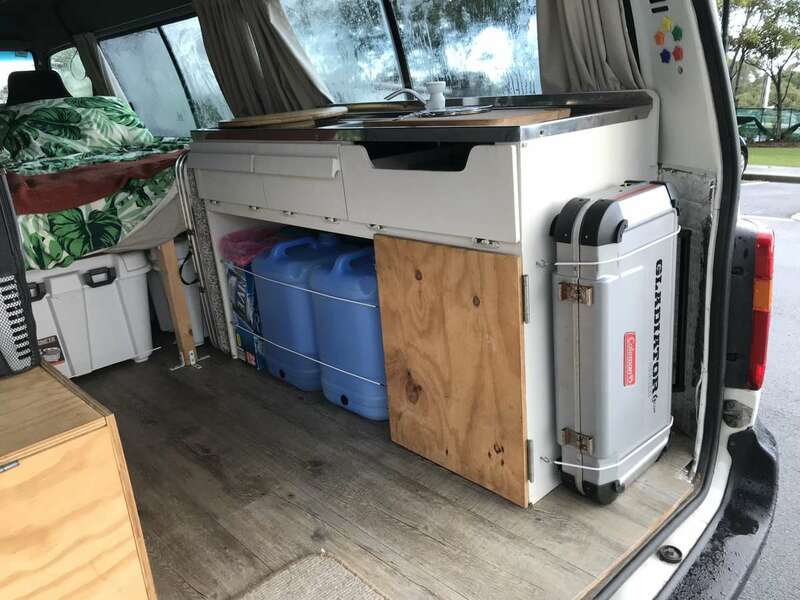 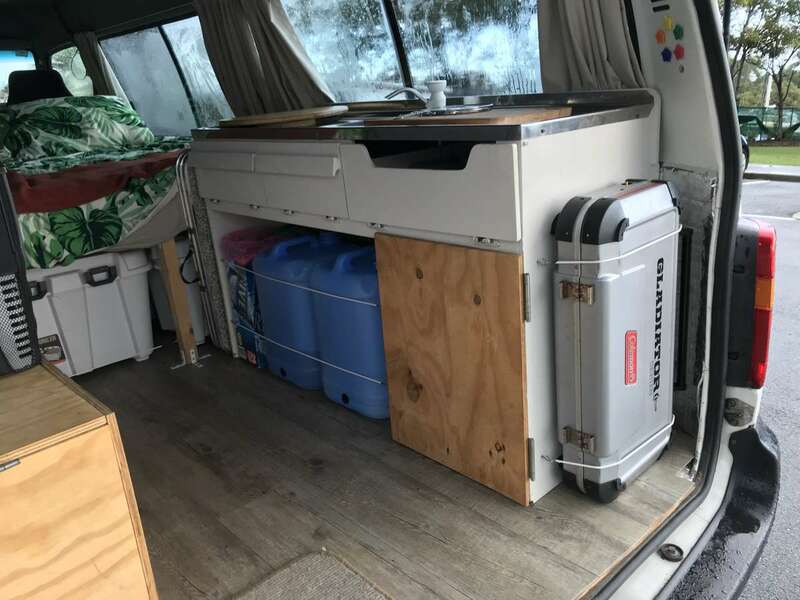 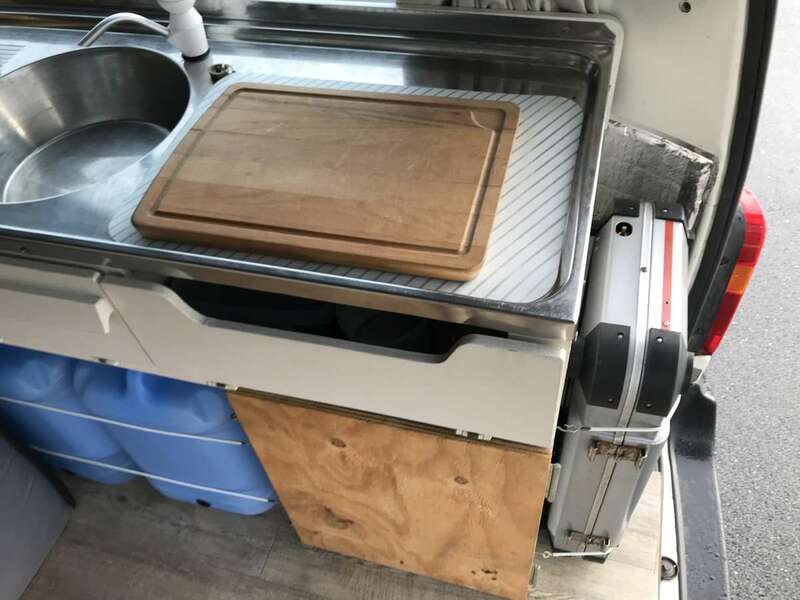 A clean up sink and tap, lots of storage room and the best high roof van. 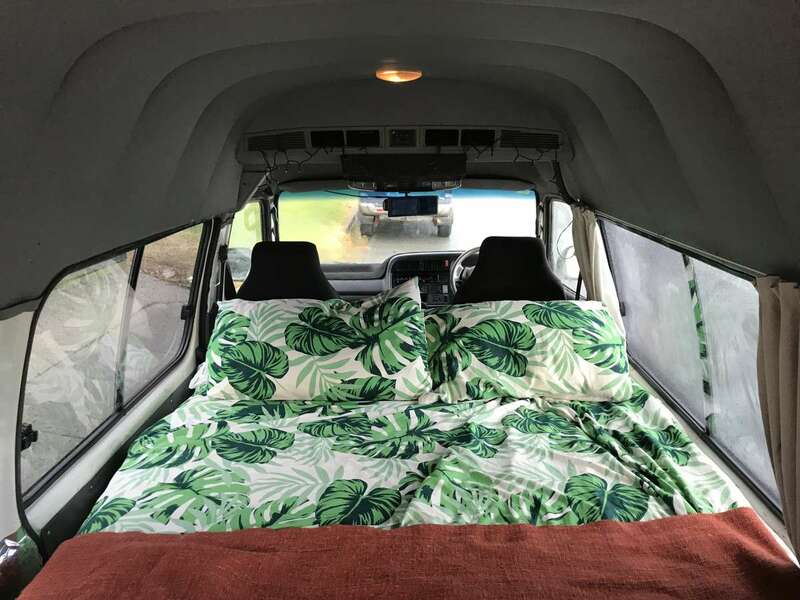 There are windows all around so no matter where you camp the view is right there. 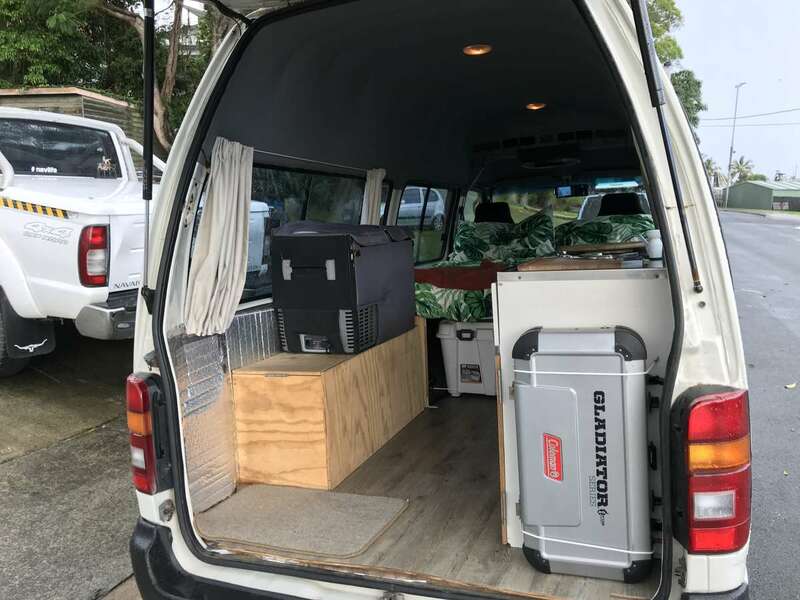 Also a DVD entertainment unit and an AC/heating unit for the back as well as the front. 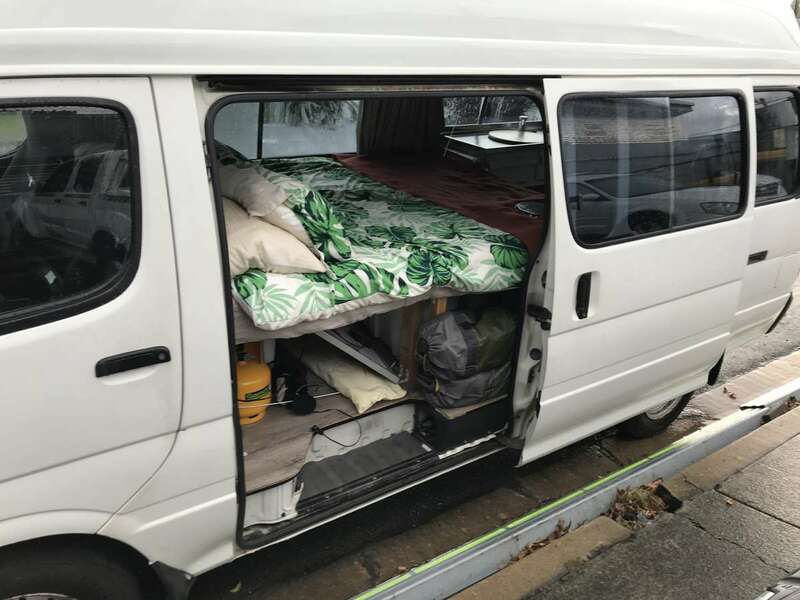 My van is super reliable and easy to drive.